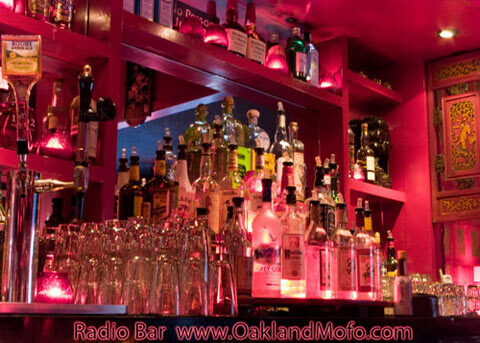 The Radio Bar is a long narrow sort of dark bar lit with red lights and candles. Plenty of stools to sit and a few benches. Lot of standing going on here on a busy night. It features a DJ, dance cage and all that fun stuff. It is located pretty much on top of 12th Street BART under the Oakland Tribune Tower making it easy for anyone to get to. There is also a Taxi Stand across the street where you can pretty much always get a Taxi. Cover Charge: No cover charge, free. 435 13th St., Oakland, CA. Depending on the night you’ll find mostly old school hip-hop here but I could be wrong. If you’re a smoker there is an upstairs smoking room but it’s small and crowded at times. They do have a Happy Hour but I’m not sure of the time so you’re just going to have to go in after work and figure it out.